Best-selling and award-winning author Igor Khmelnitsky gathers examples from Bobby Fischer's games that are educational, and entertaining, and can be studied without a board. In each of the examples you will take a seat of Fischer's opponent and be asked to come up with an assessment and a move. Based on your response you are assigned points towards your rating evaluation and a game score towards your "match." Once finished, you will learn how well you have done in the "match," have an estimate of your rating, and know what you need to work on to improve your game. Flyer or Poster - ready to print as is, can be customized to promote your store/club. 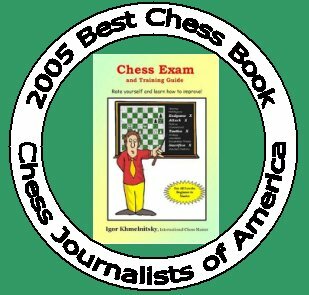 In 2007, a very successful follow-up Chess Exam and Training Guide: Tactics provided readers with 30 rating reports to help assess and improve their Tactical skills. Joel Benjamin, grandmaster, former U.S. Champion: "...With innovative methodology Chess Exam and Training Guide: Tactics, aspires to rise a cut above other books in this genre...I love the creative and novel approach to quizzing....The variations of themes is so impressive... 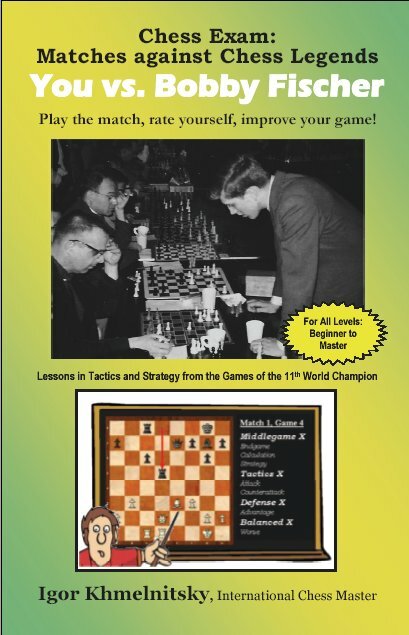 The selections of positions and posing of questions is skillfully done that every page is a learning experience..."
Back in 2004, the original Chess Exam and Training Guide: Rate Yourself and Learn How to Improve helped the readers to evaluate their game, to identify their strengths and weaknesses and to find ways to improve with detailed training recommendations. This book quickly became an award winner and a best-seller! Lev Alburt, grandmaster, former U.S. Champion: " Chess Exam is an ideal book for chess players of all levels. Those who like the serious and scientific approach will focus on evaluating their skills via special testing. 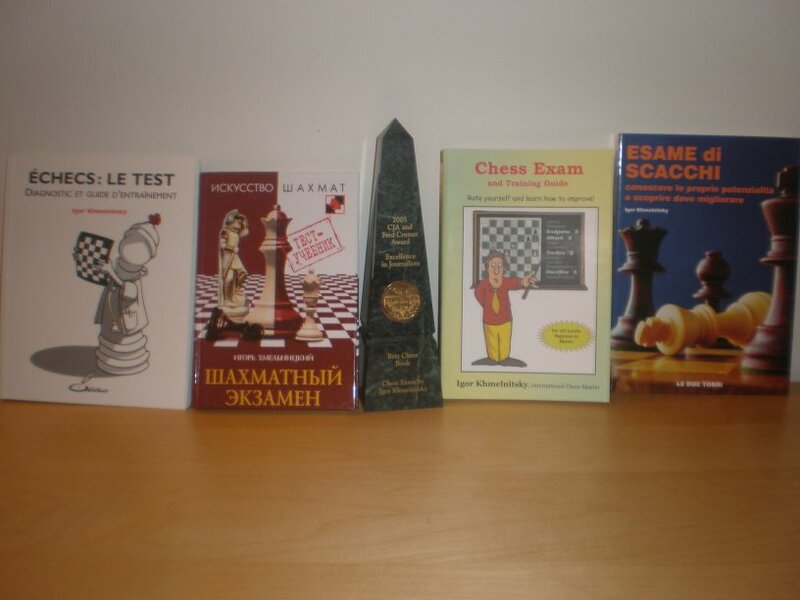 Others who prefer the lighter approach to studying chess will enjoy the no-nonsense explanations and excellent selection of problems. I am strongly recommending this book to my students." Winner of 2005 Cramer award for Best Chess Book (Chess Journalists of America). Translated into Russian, French and Italian.